13/11/14 -- Soycomplex: Beans closed a little higher, with the largest gains in the deferred positions. Fresh news was a little lacking, with the usual weekly export sales report delayed until tomorrow. Sales for beans are expected to be over the 1MMT mark. Meal sales could be negative it is thought. MDA CropCast trimmed their forecast for the US soybean crop slightly, down by 0.25 MMT to 107.49 MMT. They were unchanged on Brazil and Argentina at a little over 91 MMT and 56 MMT respectively. Grain Growers of Canada said that the 2015 Canadian canola planted area will be unchanged from the 2014 area. Nov 14 Soybeans closed at $10.50 1/2, up 2 1/4 cents; Jan 15 Soybeans closed at $10.53 1/2, up 5 3/4 cents; Dec 14 Soybean Meal closed at $393.50, down $1.50; Dec 14 Soybean Oil closed at 32.07, down 15 points. Corn: The corn market posted decent gains of around 8 cents. Heavy fund buying was a feature, with them booking an estimated net 20,000 contracts on the day. The CME Group reported that yesterday's traded volume in corn was the third highest in history. Increased tensions in Ukraine May be one factor encouraging them back. MDA CropCast cut their US corn production forecast by 1.4 MMT To 369.7 MMT. They also cut China by 1.7 MMT to 215.4 MMT and Argentina by 1.5 MMT to 22.3 MMT. There were however increases for Brazil, up 3.2 MMT to 77.2 MMT and for Ukraine, up 1.6 MMT to 26.8 MMT. Trade estimates for tomorrow's weekly export sales report are around 500-750 TMT. Dec 14 corn closed at $3.86 1/4, up 8 1/2 cents; Mar 15 corn closed at $3.98 3/4, up 8 1/4 cents. Wheat: The wheat market added to yesterday's gains, helped by fund money stepping in for an estimated 6,000 lots in Chicago wheat. Ideas that US winter wheat is at risk from the sub-zero temperatures gripping the Plains continues to add support. So too does the notion that all is not well with the Russian winter wheat crop, plus increased military activity in Eastern Ukraine. South Korea's KFA cancelled a tender to import 50,000 MMT of optional origin feed wheat. Japan bought 127,355 MMT of food wheat for Dec-Jan shipment of mostly US origin. MDA CropCast estimated the US 2015 wheat crop at 63 MMT versus 56 MMT this year. They see Russia's crop at 54.2 MMT next season (compared to 56.9 MMT this year), with Ukraine's down from 24.2 MMT to 23.2 MMT. Trade estimates for tomorrow's weekly export sales report are around 300-450 TMT. Dec 14 CBOT wheat closed at $5.53 3/4, up 11 cents; Dec 14 KCBT wheat ended at $6.05 1/4, up 6 cents; Dec 14 MGEX wheat closed at $5.84 1/4, up 3 cents. 13/11/14 -- EU grains traded mostly higher, with wheat pressing on to new highs for the recent move. At the close Nov 14 London wheat was up GBP0.90/tonne to GBP123.20/tonne, Nov 14 Paris wheat was EUR1.25/tonne higher at EUR176.00/tonne, Jan 15 Paris corn was up EUR0.75/tonne to EUR152.00/tonne, whilst Feb 15 Paris rapeseed ended EUR0.25/tonne lower at EUR337.25/tonne. Sterling weakness helped London wheat, after comments yesterday by BoE chief Carney pushed back the prospect of an interest rate rise here well into 2015. French analysts Strategie Grains raised their forecast for EU soft wheat exports this season from 24.2 MMT to 26.8 MMT. That cuts ending stocks here from the near 19 MMT forecast a month ago to around 17 MMT. That's still a fairly large volume compared to more like 10 MMT a year previously though. They upped their forecast for this season's soft wheat crop by 300 TMT to 147.7 MMT, a 9% rise on a year ago. They also raised their outlook on corn production this year to 73.5 MMT. Taking a glance into next year they forecast the EU-28 all wheat crop at 148.7 MMT in 2015, a 4% drop on this year. Sticking with that theme, at home the HGCA estimated UK wheat plantings for the 2015 harvest at 1.832 million hectares, a 5% fall versus a year ago. 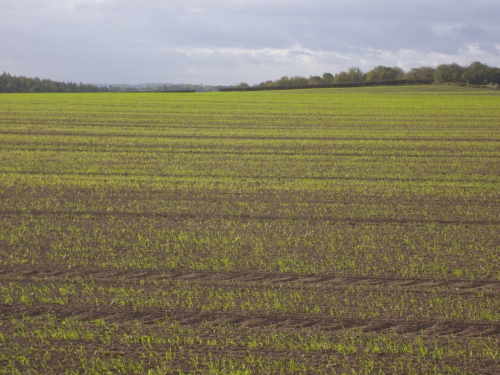 UK winter barley plantings were estimated at 476k ha, a 12% rise compared to a year ago. Spring barley showings were forecast up 9% at 713k ha. The OSR area will fall 4% to 649k ha, they estimate. MDA CropCast estimated the EU-28 all wheat crop next year at a little less than Strategie Grains, coming up with a figure of 148.4 MMT. They also see output in Russia and Ukraine declining next year, in common with most other analysts, although maybe not at the moment by as much as some. 12/11/14 -- Soycomplex: Beans ended giving up around half of yesterday's gains at the end of a choppy session that saw trade both sides. "Meal was once again in the driver seat for the move rallying to new contract highs in the December contract before leading the market lower as profit taking developed at the top and rumours spread that a southeast poultry or hog feeder had booked a couple cargoes of South American meal," said Benson Quinn. The Rosario Grain Exchange fine-tuned their estimate for Argentine soybean plantings this year to 20.7 million hectares. The usual Thursday weekly export sales report are delayed for a day due to Tuesday's Veterans Day holiday. The trade is thinking that the recent run-up in prices will have led to a slowdown in soybean sales, and for meal sales to maybe come in negative. due to cancellations/switches. Nov 14 Soybeans closed at $10.48 1/4, down 18 1/4 cents; Jan 15 Soybeans closed at $10.47 3/4, down 16 1/4 cents; Dec 14 Soybean Meal ended at $395.00, down $5.60; Dec 14 Soybean Oil finished at 32.22, down 65 points. Corn: The corn market ended around 3-4 cents firmer, aided by spillover support from wheat. "Considering the weakness in the soybean market the last half of the session, the corn market performed pretty well. If, and it’s a big if given the price action of the last couple of weeks, the soybean market did top out today, corn will have a difficultly holding these values for an extended period of time," said Benson Quinn. The sharp cold spell gripping the US this week could certainly disrupt the remainder of the 2014 corn harvest. The Rosario Grain Exchange estimated the 2014/15 Argentine corn crop at 21.5 MMT versus 24.8 MMT a year ago. Ukraine said that its corn harvest was 87% done at 23.5 MMT. Russia said that its corn harvest was 86.5% complete at 10.3 MMT. Russia said that its corn exports so far this season were 606 TMT. The usual Wednesday weekly ethanol production report is delayed until tomorrow due to the Tuesday holiday. Dec 14 Corn closed at $3.77 3/4, up 4 cents; Mar 15 Corn ended at $3.90 1/2, up 4 cents. 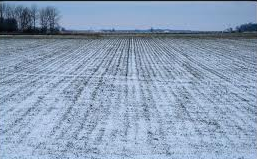 Wheat: The wheat market closed sharply higher on ideas that the extremely cold weather on the Plains, combined with the lack of snow cover, could do some damage to newly planted US winter wheat. Egypt said that it has enough wheat bought to last it until March, which is just before their 2015 harvest is expected to begin. 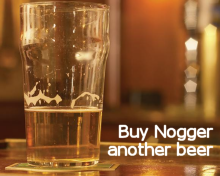 That doesn't rule them out of tendering again soon though. GASC have only bought 2.19 MMT of wheat for delivery in 2014/15 so far, an unusually small amount for them. Credit problems could be an issue there. Russia's wheat harvest is said to have reached 61.8 MMT off 96.8% of the planned area. Russian winter grain plantings, mostly wheat, are said to be complete on 16.6 million hectares versus only 14.8 million this time a year ago. Question marks remain over the health of what has gone into the ground though, and the Ag Ministry aren't planning to update us on that until the new year. Dec 14 CBOT Wheat is at $5.42 3/4, up 17 1/2 cents; Dec 14 KCBT Wheat is at $5.99 1/4, up 20 3/4 cents; Dec 14 MGEX Wheat is at $5.81 1/4, up 14 1/2 cents. 12/11/14 -- EU grains closed mostly higher, with the exception of rapeseed. Nov 14 London wheat settled at its highest close since August. At the finish Nov 14 London wheat was up GBP3.00/tonne at GBP122.30/tonne, Jan 15 Paris wheat was EUR3.75/tonne firmer at EUR174.75/tonne, Jan 15 Paris corn was up EUR1.75/tonne to EUR151.25/tonne, whilst Feb 15 Paris rapeseed fell EUR2.75/tonne to EUR337.50/tonne. Chicago wheat closed around 17 cents higher, and EU futures followed. "The (wheat) gains were attributed in part to increasing worries over US winter wheat, given the plunging US temperatures, which are expected to fall below 0 degrees Fahrenheit (-18 Celsius) in parts of Colorado and Nebraska later in the week," said Agrimoney. FranceAgriMer said that French soft wheat production this year was 36.8 MMT, a 1.2% fall on last year. Because of the quality issues with some of this year's crop, exports outside the EU in 2014/15 will fall by a third to 8.2 MMT, they said. Although exports within the EU will rise year-on-year, due in part to increased feed wheat sales, the country's wheat exports overall will still decline 14.4% to 16.4 MMT this season, they estimate. The German Oilseeds Industry Association, UFOP, said that winter rapeseed plantings in the country are down 5.2% this year at 1.323 million hectares. Ukraine said that 1 million hectares of the planted 7.4 million ha of winter crops have yet to emerge. Of what has emerged, 83% is in good to satisfactory condition and 17% weak/thinned. Wheat planting is said to be complete, but barley sowings are only done on 90% of the Ag Ministry's estimated area. The 2014 Ukraine harvest has almost reached the 60 MMT mark off 95% of the planned area. The corn harvest is 87% complete at 23.5 MMT. Russia said that it's harvest was now 97% complete at 109.1 MMT in bunker weight. The Urals region is still only 86.8% done. The Russian Ag Ministry said that the country has exported 15.25 MMT of grains so far this season, a 30.5% increase on this time a year ago. Wheat (12.5 MMT) accounts for the vast majority of that total. 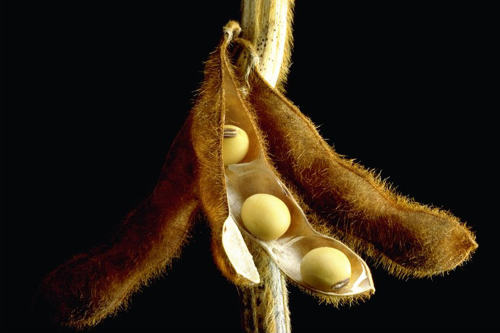 11/11/14 -- Soycomplex: Beans jumped to 3-month highs and meal rose above $400 as yesterday's USDA report was cast aside as history and the market chose to focus on very strong demand for both and continuing logistical issues. CONAB estimated the Brazilian 2014/15 soybean crop at 89.3-91.7 MMT versus a previous forecast of 88.8-92.4 MMT and production a year ago of 86.1 MMT. Even taking the high end, that's still below yesterday's USDA forecast of 94 MMT though. Brazil exported only 0.74 MMT of soybeans in October, down sharply from 2.67 MMT in September and also well below the 1.5 MMT shipped out in October 2013, according to Oil World. They also said that Argentina's soybean crush in September was 3.3 MMT versus 3.49 MMT in August and compared to 3.58 MMT a year previously. Their Jan-Sep crush total is now 29.1 MMT versus 27 MMT in the same period in 2013. Late soybean plantings in Brazil are pushing their harvest back, keeping demand with the US for longer than anticipated. Oil World said that US soybean exports need to rise by at least 3 MMT to 41 MMT in Sep 14 - Feb 15 to satisfy world demand. Chinese soybean imports are seen rising to 6.2 MMT in November and 7 MMT in December, according to local industry analysts. Nov 14 Soybeans closed at $10.66 1/2, up 39 cents; Jan 15 Soybeans closed at $10.64, up 38 1/4 cents; Dec 14 Soybean Meal closed at $400.60, up $19.70; Dec 14 Soybean Oil closed at 32.87, up 51 points. 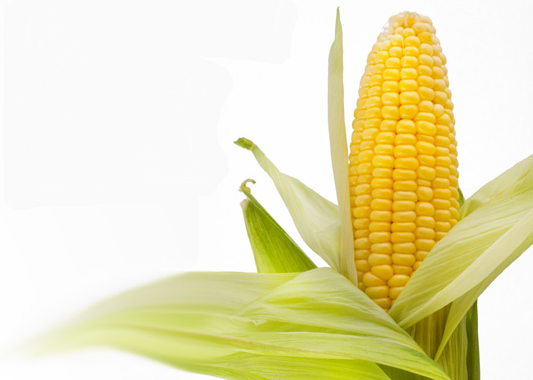 Corn: The corn market closed around 4-5 cents firmer. Spillover support from the soycomplex was a feature. With 20% of the US 2014 corn crop still to be harvested, the market is looking at a sharp cold spell coming up. "The US forecast calls for temperatures 15-20 F below average in the week ahead. The bitter cold would affect 80% of the lower 48 states. This translates into daily mean temperatures of 0 F to -10 F in Montana and 10 F -25 F in Iowa. This sort of cold is typical of late December, but is developing 6 weeks early. The 6-10 day forecast keeps a cold weather outlook though the core of coldest air would shift east. High population centres in the Great Lakes and Northeast United States would be subject to the bitter cold, increasing natural gas and heating oil consumption," said Martell Crop Projections. CONAB pegged the 2014/15 Brazilian corn crop at 77.3-78.9 MMT versus a previous estimate of 76.6-78.9 MMT and last year's production of 79.9 MMT. Some are already suggesting that they are over-estimating safrinha corn plantings, due to the lateness of soybean sowings. Oil World said that Brazil had exported 3.18 MMT of corn in October versus 3.95 MMT in September and shipments of 2.68 MMT a year previously. Russia said that it had harvested 10.2 MMT of corn off 85.5% of the planned area. 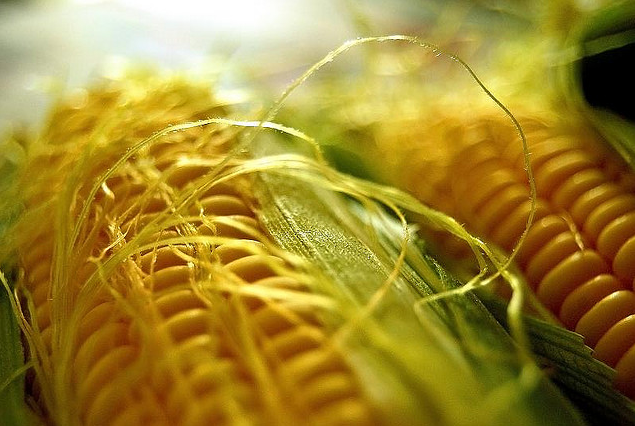 Ukraine said that it had exported 2.72 MMT of corn so far this season. Dec 14 Corn closed at $3.73 3/4, up 4 1/2 cents; Mar 15 Corn closed at $3.86 1/2, up 4 1/2 cents. Wheat: The wheat market put in a decent rally, aided by firmer corn and soybeans. The Argentine wheat harvest continues to be hampered by rains late in the season. These could be causing both yield and quality issues, with yields potentially down by "at least 10%" in the hardest hit areas, according to Dr Cordonnier. There are similar issues also in southern Brazil, where the harvest is about halfway done in Rio Grande do Sul. CONAB today cut their forecast for this year's Brazilian wheat crop from 7.7 MMT to 7.0 MMT. Canada said that it had exported 4.73 MMT of wheat so far this season (to Nov 2), a 14% rise on a year ago. The USDA's FAS in Canada said that despite wheat production 27% lower than a year ago at 27.5 MMT, exports in 2014/15 would only fall a relatively modest 2% to 22.5 MMT due to the very high level of carryover stocks from last year's record crop. Ending stocks this season will be reduced by 45% to 5.38 MMT, they said. Russia said that it had harvested 61.7 MMT of wheat off 96.8% of the planned area. Much of what remains to be harvested is now under snow. The Ukraine Ag Ministry said that growers there had beaten their forecast for winter wheat plantings of 6.2 million hectares by sowing 6.3 million ha, up from 6.1 million ha a year ago. They said that the country had exported almost 13 MMT of grains so far this season, a more than 20% rise on a year ago. That volume includes 6.86 MMT of wheat. Dec 14 CBOT Wheat closed at $5.25 1/4, up 8 cents; Dec 14 KCBT Wheat closed at $5.78 1/2, up 5 1/2 cents; Dec 14 MGEX Wheat closed at $5.66 3/4, up 12 1/2 cents. 11/11/14 -- EU grains were mostly a little higher, as traders went through the minutiae of last night's USDA report. Although the Paris grain markets were open, many traders there were absent for the Remembrance Day holiday, so trade was light. At the close Nov 14 London wheat was up GBP0.90/tonne at GBP119.30/tonne, Jan 15 Paris wheat finished EUR0.75/tonne firmer at EUR171.00/tonne, Jan 15 corn was EUR1.00/tonne higher at EUR149.50/tonne and Feb 15 rapeseed ended up EUR5.25/tonne to EUR340.25/tonne. From a European perspective, the USDA reported record 2014 production for wheat, corn and rapeseed. The EU wheat crop was pegged at 154.1 MMT, up 1.4 MMT from a month ago and an increase of 8.6% on last year. "The month-to-month increases were based on recent harvest data with the largest being a 0.6 MMT increase for Poland. Production for Poland is estimated at a record 11.2 MMT, 18 percent higher than last year’s crop and 20 percent above the 5-year average. "Record output is also estimated for Romania’s wheat at 8.1 MMT, Bulgaria at 4.9 MMT, the Czech Republic at 5.4 MMT, Finland at 1.0 MMT, Germany at 27.7 MMT, and Sweden at 2.9 MMT. 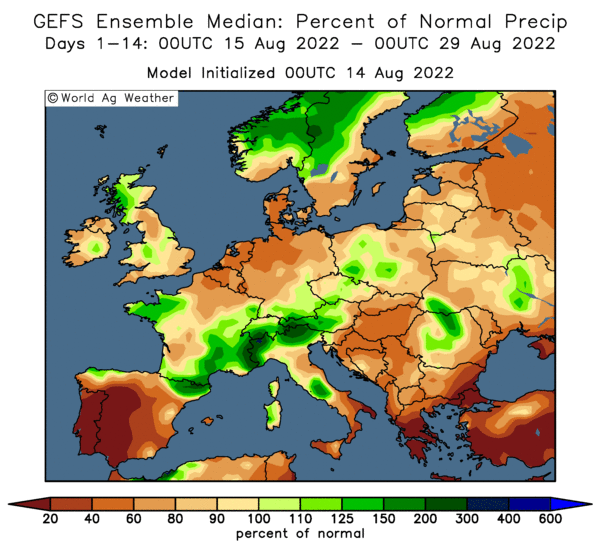 France, the largest wheat producer in the EU, did not harvest a record crop at 39.1 MMT, but produced its largest crop since 2004/05," they said. EU 2014/15 corn production was estimated at a record 73.1 MMT, up 2.0 MMT or 2.9 percent from last month, and up 8.9 MMT or 14 percent from last year. 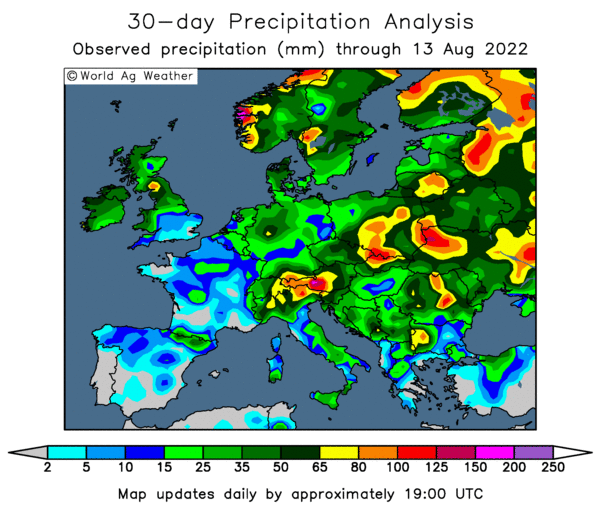 "Corn yield has benefitted greatly from above-average rainfall that has dominated European weather every month since June. 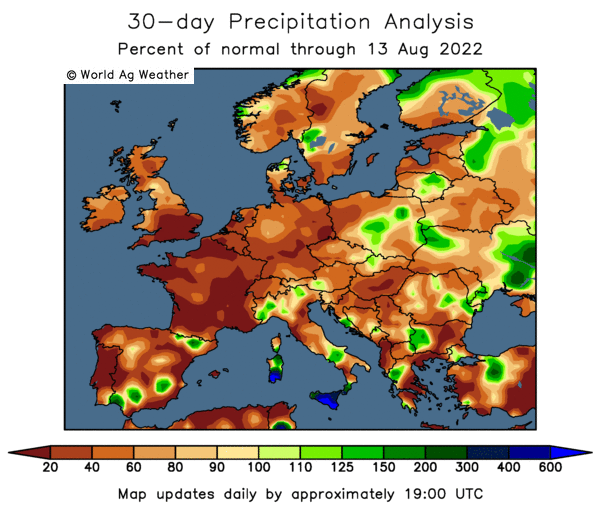 Continued damp conditions in southeast Europe, including Romania, Bulgaria, and Hungary, have hampered harvest operations. In these areas, if the weather continues to delay harvesting, farmers will continue harvesting into the winter," they suggested. EU rapeseed production for 2014/15 was estimated at a record 24.0 MMT, up 0.5 MMT or 2 percent from last month, and up 14 percent from last year. On a UK specific level, the USDA estimated the wheat crop at 16.6 MMT, unchanged from last month but almost 40% up on a year ago. They added 0.5 MMT to their UK barley production estimate from a month ago, taking the crop up to 7.0 MMT. That's a 1.3% fall on output a year ago, but not a bad result considering that plantings were reduced by 10.7% this year. They trimmed their forecast for the UK OSR crop from 2.57 MMT to 2.48 MMT, which still represents a 16.6% increase on a year ago. That cut came largely thanks to a reduction in the harvested area from the 720k ha predicted a month ago to 680k ha this time round. The USDA had the French corn crop at a record 17 MMT, which is almost exactly the same as the French Farm Ministry said yesterday (16.95 MMT), a 15% rise on 12 months ago. 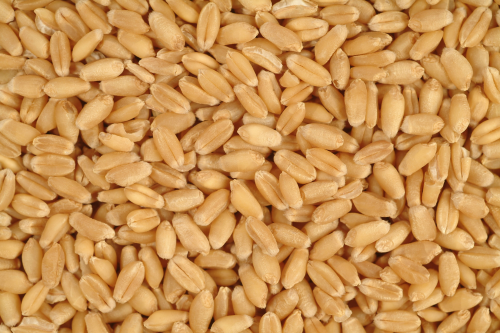 Morocco are tendering for 171,600 MT of wheat on the local market. Israel bought 120,000 MT of optional origin, but probably Black Sea, corn in a tender. Russia's Ag Ministry said that it's 2014 grain harvest had now produced 108.9 MMT in bunker weight off almost 97% of the planned area. Wheat accounts for 61.7 MMT of that, with barley adding another 21.1 MMT and corn a further 10.2 MMT. The corn harvest is 85.5% complete, they said. Ukraine said that they'd exported 13 MMT of grains so far this season, including 6.86 MMT of wheat, 3.28 MMT of barley and 2.72 MMT of corn. 10/11/14 -- Soycomplex: Beans closed lower following a bearish USDA WASDE report. US 2014 soybean yields are now expected to average a record high 47.5 bu/acre, up 0.4 bushel from October and up 3.5 bu/acre from last year, they said. That takes US production this year up to a record 3.958 billion bushels. The domestic crush was increased 100 million bushels and exports raised 20 million to a record 1.720 billion bushels. "Increase production was offset by increased demand with US ending stocks unchanged at 450 million. USDA made only nominal changes to world balance sheet with ending stocks near unchanged at 90.28 MMT, which is 23.4 MMT above carryin of 66.85 MMT," noted Benson Quinn Commodities. There were no alterations to 2014/15 soybean production estimates for Brazil, Argentina or Paraguay. Argentina's export potential was trimmed a little from 8.5 MMT to 8.2 MMT. China's import needs were left at 74 MMT. Later in the day the USDA also released their regular crop progress report, putting the US 2014 soybean harvest at 90% complete, one point behind the 5-year average. CONAB come out tomorrow with their 2014/15 Brazilian crop estimate updates. Nov 14 beans closed 12 3/4 cents lower at $10.27 1/2; Dec meal closed $9.50 lower at $380.90; Dec 14 soybean oil was down 4 points at 32.36. Corn: The corn market closed with only small gains despite the USDA surprising the market as they cut their forecast for 2014 US corn yields and production. Yields are now expected to average 173.4 bu/acre, down 0.8 bu/acre from the October forecast, although still a record and 14.6 bu/acre above the 2013 average. Production was trimmed 68 million from last month to 14.407 billion bushels. Still easily a record, but not the 14.551 billion that the market was expecting. US 2014/15 corn ending stocks were estimated at 2.008 billion bushels, down from the 2.081 billion predicted in October, but still a big number. Around the world, China's 2014 crop was revised 3 MMT lower to 214 MMT, Europe's was raised 2 MMT to 73 MMT, Mexico's was increased 0.5 MMT to 23 MMT and Ukraine's was hiked 2 MMT higher to 27 MMT. Consumption in China was dropped 4 MMT to 216 MMT, whilst Europe's was raised 1 MMT to 76.5 MMT. Global ending stocks were upped 1 MMT to 191.5 MMT versus the 190.77 MMT expected. China's corn imports were reduced 0.5 MMT to 2.5 MMT. After the close the USDA also estimated this year's US corn harvest at 80% complete, up 15 points from a week ago and now exactly in line with the previous 5-year average. The French Farm Ministry estimated the country's 2014 corn crop at 16.9 MMT versus a previous estimate of 16.3 MMT, and up 13% from the five year average. Dec 14 corn closed up 1 3/4 cents at $3.69 1/4; Mar 15 corn was up 1 1/2 cents at $3.82. Wheat: The wheat market closed higher across the three exchanges. The USDA trimmed US 2014/15 all wheat stocks from the 654 million bushels forecast a month ago by 10 million. The trade was expecting a slight increase to around 660 million. Nevertheless, the new figure was still described as "very comfortable" by Benson Quinn Commodities. "The reduction stemmed from lower HRS/Durum production justified by a re-survey of the northern plains due to the late fall," they said. Around the world Australia's wheat crop this year was trimmed 1 MMT to 24 MMT, Kazakhstan's reduced by 0.5 MMT to 12 MMT and Egypt's cut from 8.95 MMT to 8.2 MMT. 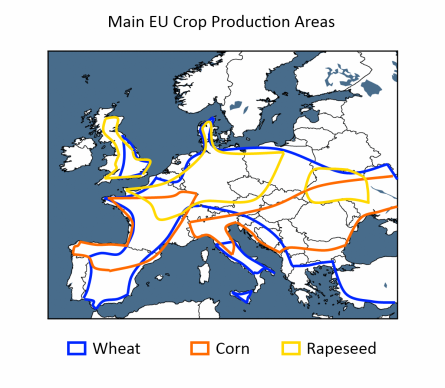 Europe's crop was raised 1.4 MMT to 155.4 MMT. Global ending stocks came in slightly above expectations at a comfortable 192.9 MMT after world consumption was lowered by 1.4 MMT. In other news the USDA said that winter wheat plantings in the US are now 93% complete, which is exactly in line with the 5-year average. They said that 83% of the crop is emerged, 4 points ahead of the norm for this time. Crop conditions in the good to excellent category were raised one point from a week ago to 60%, although that's still 5 points down compared to this time last year. Japan are tendering for 127,355 MT of food wheat for Dec-Jan shipment of US/Australian origin. Jordan have issued another tender for 100,000 MT of optional origin hard milling wheat for April–May shipment to replace the one they passed on last week. Dec 14 CBOT wheat closed 2 3/4 cents higher at $5.17 1/4; Dec 14 KCBT wheat ended 3 3/4 cents higher at $5.73; Dec 14 MGEX wheat was up 8 cents at $5.54 1/4. 10/11/14 -- EU grains traded mostly higher, save for the expiring and technical front month Nov 14 Paris wheat, awaiting some direction from the November WASDE report from the USDA due out at 17.00 London time. At the close Nov 14 London wheat was up GBP1.10/tonne to GBP118.40/tonne, Nov 14 Paris wheat was EUR4.25/tonne lower at EUR158.50/tonne, Jan 15 Paris corn was up EUR1.50/tonne to EUR148.50/tonne, whilst Feb 15 Paris rapeseed ended EUR0.50/tonne higher at EUR335.00/tonne. The pound remains close to its lowest levels against the dollar since September 2013, as world money markets shift large volumes of cash to the US. The euro meanwhile is close to its lowest against the US currency since August 2012. Bank of America Merrill Lynch said that there was $17.5 billion worth of money inflows into US equity funds last week, following $20 billion worth the previous week. That's the largest amount of money inflows in a two week period since October 2013, they said. It's not just the pound and euro that are weak against the US dollar. The Ukraine hryvna and Russian rouble have declined by 75% and 45% respectively against the US currency this year, according to Agritel. That, and lack of easily available credit, will make the purchasing of spring inputs an interesting challenge for farmers in both countries early next year. The tentative ceasefire in eastern Ukraine was broken over the weekend, with the Donetsk area seeing its heaviest shelling in a month, according to Reuters. The grain markets haven't yet reacted to another escalation of tensions in the region. It was business as usual for Ukraine seaports last week though. They shipped 666.5 TMT of grains abroad, up from 607.1 TMT the previous week. They are certainly now starting to major on corn. Shipments of corn were 433.7 TMT last week, or 65% of the weekly total, up from 53% the previous week and only 12.1% for the week prior. The Kazakh Ag Ministry said that 3% of their 2014 grain crop remains unharvested, although local farmers suggest that it may be much more than that. Whatever is left will probably now have to stay there until the spring. Concerns remain over the health of the Russian winter-planted grain crop for the 2015 harvest, with one report today suggesting that only 50% of the crops in the Rostov region are in "satisfactory" condition. Front month Nov 14 Paris wheat traded as low as EUR155/tonne in morning trade - the lowest since early October - ahead of the contract's expiry. The French have a holiday tomorrow for Remembrance Day. It's also Veteran's Day in the US tomorrow, which means that government offices are closed, although the Chicago market is open, so other reports from the USDA like the weekly export sales will now be delayed a day to Friday. Late in the day, the USDA upgraded their EU-28 2014 wheat production estimate from just under 154 MMT to 155.4 MMT, an 8.6% increase on 143.1 MMT a year ago. EU-28 2014/15 wheat export potential was left unchanged at 28 MMT, a 12% decline on last season's record. Egypt's wheat import needs were revised 800,000 MT lower to 9.5 MMT, a 6.6% fall compared to 2013/14.